This is a super clean and affordable 2012 Ford F150 Lariat Crew Cab V8 and it will sell fast!!! This is a loaded and clean Lariat F150 with the 5.0 V8 !!! This super affordable and clean truck with power heated leather seats as well as rear bed ladder and steps !!! This F150 has an original 160,000 miles on it and it will sell fast!!! Call us asap at 856-845-2200!! 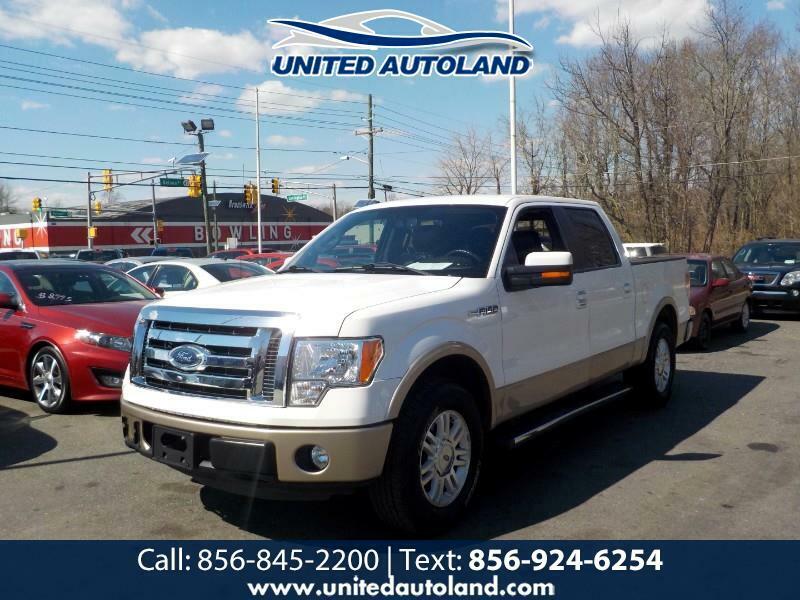 Visit our website www.unitedautoland.com for more information and photos on this or any of our other vehicles or call us today for a test drive at 856-845-2200. We are open Monday through Saturday 11am to 7pm and our address is 1333 Delsea drive Deptford NJ 08096. You can find directions at our website and you can also contact us anytime and we will fax you an autocheck of any of our vehicles but unfortunetly we are unable to email those reports. Here at United Autoland Inc. we try to have competitive priceing please feel free to email or call us with any offer on any vehicle and we will take it under serious consideration.